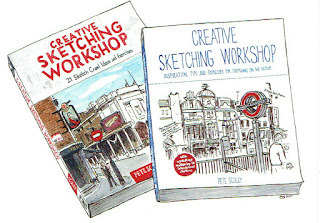 I have a couple of chapters in Pete Scully's great new book, Creative Sketching Workshop, which is published now. (The covers, drawn by Pete here, are for the US and UK editions.) 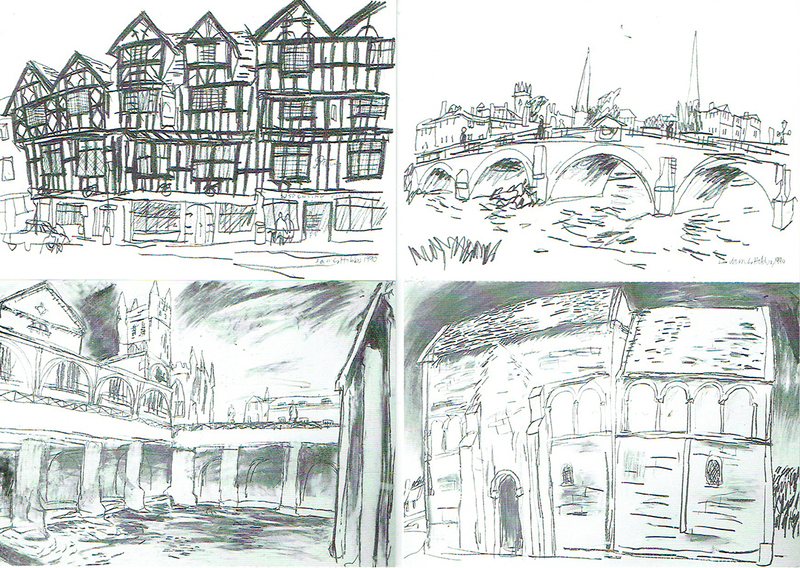 I know Pete through the Urban Sketchers network and through joining him on his sketchcrawl around the East End of London a few years ago when he was back visiting the UK (he now lives in Davis, California). And I'm looking forward to seeing him again later in the year. There are contributions to the book from other artists I've worked with before, including Virginia Hein, Nina Johansson and Melanie Reim. It's great to be in such good company. 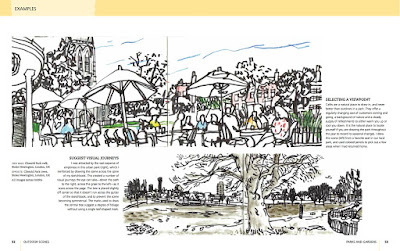 Did you spot the family resemblance of his book and Sketch Your World? That's because they are related, along with Simone Ridyard's Archisketcher, just published, and Katherine Tyrrell's Sketching 365, both of which I also have work in. (We are all published in the UK by Apple Press and in the US by North Light.) I'll blog about Simone's book too when I get my hands on a copy. 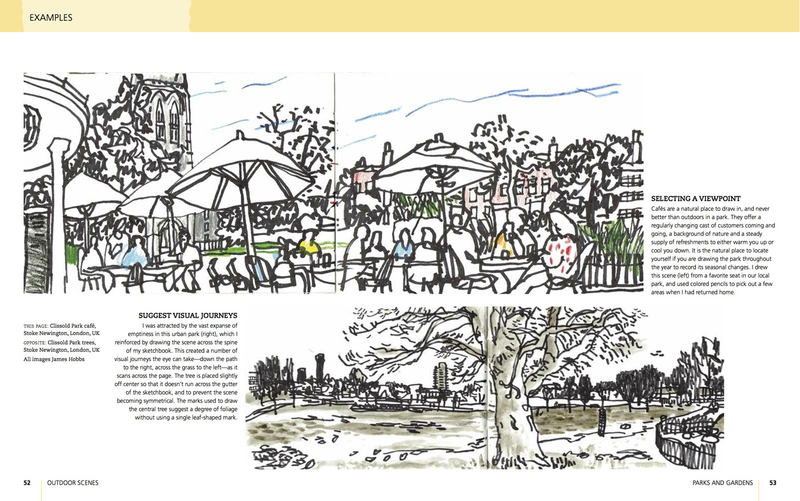 Here's a page from my parks and gardens chapter in Creative Sketching Workshop, which is available, like the other books, from discerning bookshops and the usual online places.